Summer is coming to an end in the NFL world with training camps beginning next week, so Kevin recapped the big news of the summer, or not news of the summer, with Will Brinson (@WillBrinson) of CBS Sports. They talked DeflateGate (3:45) and then Will clued us in on John Fox’s time in Carolina (12:30), what he liked about the Bears’ offseason. 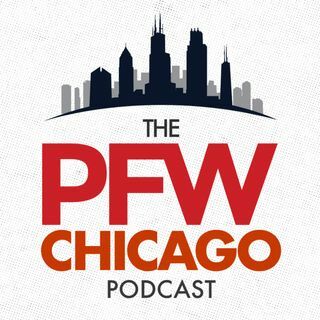 The guys chatted about the “Cutler Narrative” (19:30) and how fans view quarterbacks, then wrapped up with some pop culture and TV talk. We then went ... See More through our ‘Bear Necessities’, important Bears ranked 6 to 1, and of course Kevin had to give his Bachelorette update for the week.